One of my main goals when preparing meals each week is to minimize excess ingredients and waste. Nothing bums me out more than herbs that go bad because they’re never used or veggies that get rubbery because they’ve been sitting in the fridge too long. Not only does creating efficiencies in the kitchen minimize waste but it also makes cooking a lot more fun and innovative. Instead of preparing only my go-to meals, I am always looking for new and inventive ways to use leftover ingredients and create new dishes. This dish was creating after preparing my Halibut Fish Tacos. I knew I would have leftover Avocado Aioli, Pico De Gallo, and cabbage so I purchased double the amount of Halibut I needed for the tacos and planned to make a salad with the leftovers. The results were amazing! While it may seem weird to use aioli as a salad dressing, my creamy Avocado Aioli is perfect with just about anything, including salads. If you like a little extra dressing, feel free to use whatever you’d like. 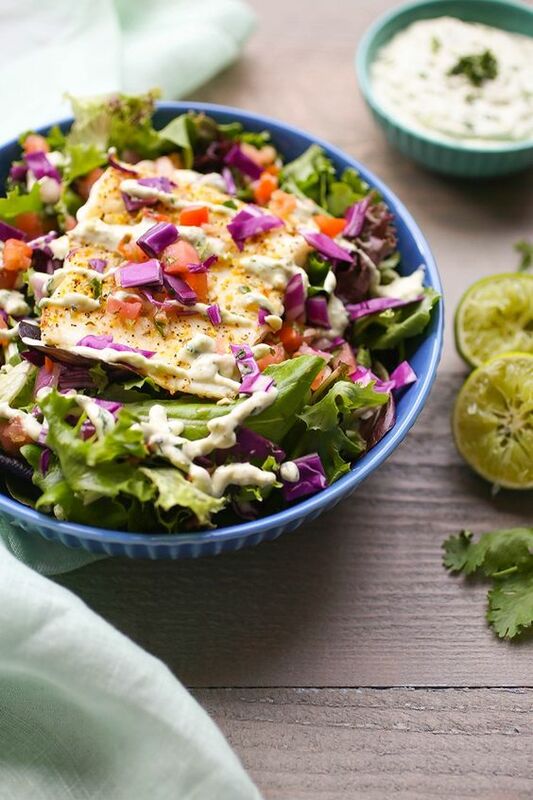 Tesserae’s Southwest Ranch is one of my favorites and goes perfectly with this salad. Prepare Pico De Gallo and Avocado Aioli and set both aside. Allow fish to come to room temperature and coat with olive oil and Adobo Seasoning. Heat your grill on high and place your halibut on the grill. Leave your grill top open and cook your first side until lightly browned. If it sticks, it's not ready! Flip and cook the other side for 6-7 minutes or until flaky and moist. 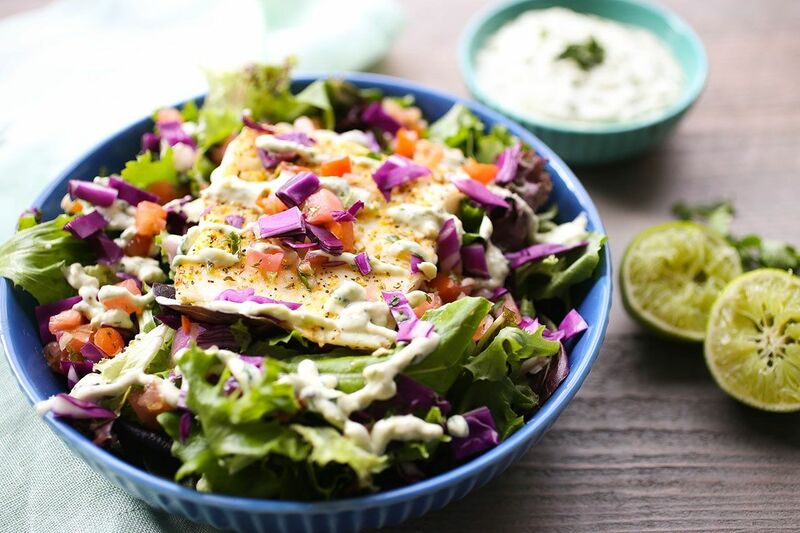 While fish is cooking, prepare two bowls with lettuce, cabbage and Pico De Gallo. 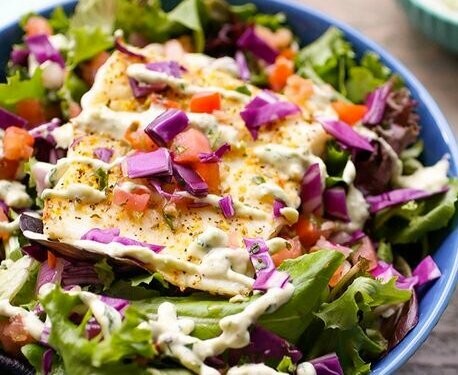 Place fish on top of the salad and top with Avocado Aioli.